« BIG NEWS! Obama video to premiere in front of POTUS himself! Typically, we like to use friends and family when we cast a secondary character in one of our Original videos. 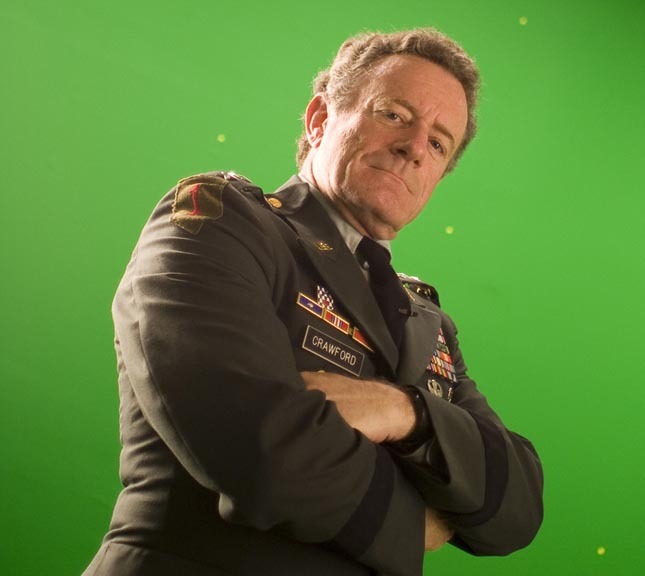 For our upcoming Obama video, we needed to find someone in their 40/ 50s with a commanding physical presence to play a military General, and nobody from our immediate circle fit the bill. So where did we turn? Facebook, of course! Evan and Gregg flipped through their friends’ profile pics and realized that Jarl Mohn would be perfect. They weren’t sure if he’d have time (Jarl is insanely busy and accomplished) but luckily he said “yes” and a few days later we had the founder and former CEO of E! Entertainment dressed up like a General in front of the camera. Stay tuned for Jarl’s JibJab acting debut on June 19th. In the meantime, check out this great commencement speech he gave at the USC Annenberg School. This entry was written by paulhanges and posted on June 3, 2009 at 5:50 pm and filed under Inside JibJab, Sneak Peeks, Talent with tags E! Entertainment, General, Jarl Mohn, jibjab, USC Annenberg. Bookmark the permalink. Follow any comments here with the RSS feed for this post. Trackbacks are closed, but you can post a comment.